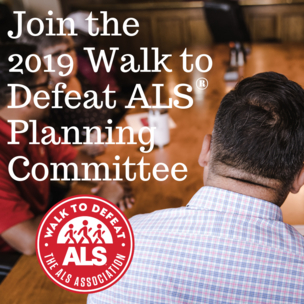 YOU CAN STILL DONATE TO THE 2019 SOUTHEAST OHIO WALK! CLICK TICKET IMAGE TO PURCHASE! For the month of March Crooked Handle Brewing has selected The ALS Association Central & Southern Ohio Chapter as the local non-profit for Brewing Up Benefits. Every Thursday from 4:00- 10:00pm they will donate 10% of sales towards our Chapter. Show your support by enjoying a pint or 2 with friends, purchasing merchandise or filling a growler to take home and enjoy. Crooked Handle Brewing is located at 760 N. Main Street Springboro, Ohio 45066. TRY YOUR LUCK AT A CHANCE TO WIN A 3 YEAR LEASE ON A TOYOTA PRIUS! Team Jill will host a fundraiser for the ALS Association Central & Southern Ohio Chapter on Wednesday, May 15th from 5:30pm to 9pm at the Fion Wine Room located at 7846 State Route 117, Huntsville OH 43224. Tickets are $30 and include a meal and 2 glasses of wine. There will be a silent and live auction. For details, contact Cheryl Craft at 937-441-0072. All Families and friends of The ALS Association Central & Souther Ohio Chapter are invited to dinner. Present paper Flyer or via mobile device and up to 20% of all food purases from 4pm - 10pm will be donated to the Chapter. TAKE A LOOK AT ALL OF OUR AWARENESS ITEMS FOR SALE! CLICK HERE FOR OTHER WAYS TO GET INVOLVED WITH OUR CHAPTER!